It finally feels like spring has come to Stockholm. Today was sunny and lovely and warm (no mittens!) 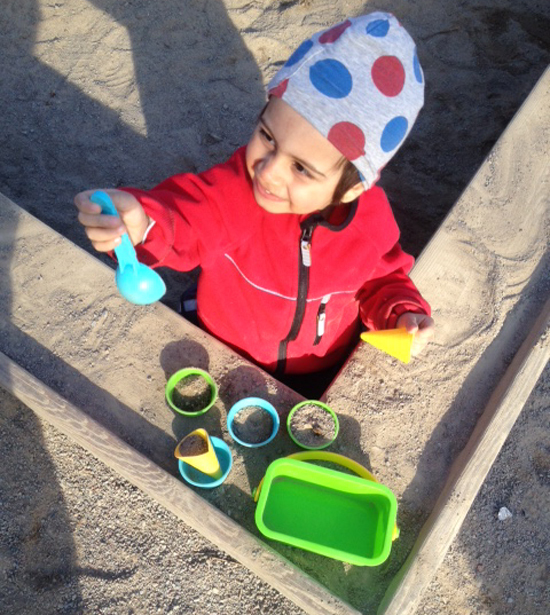 and Louis and Léonie and I decided to stop by the playground to play for a bit after pre-school. It felt amazing to be without the big warm hats and clumsy mittens. I even worried that Louis was getting too much sun! There were so many kids out – some pre-school friends, but mostly children we didn’t know – and poor little Louis had to fight pretty hard to keep a shovel in his hand! 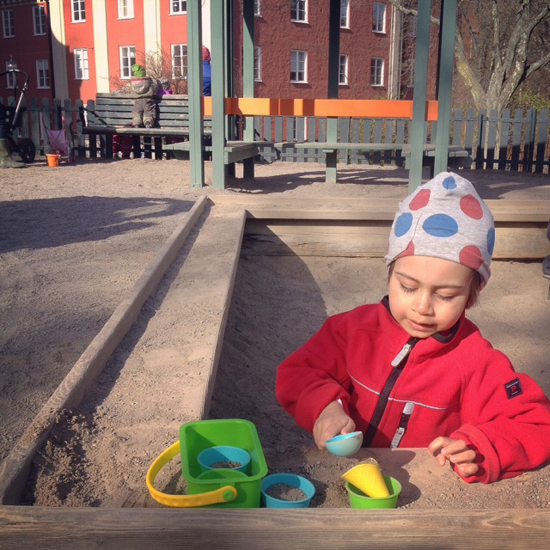 Although many Stockholm playgrounds are staffed and well-supplied with sand toys, our favourite little park between pre-school and home doesn’t have any, so we have to bring our own. 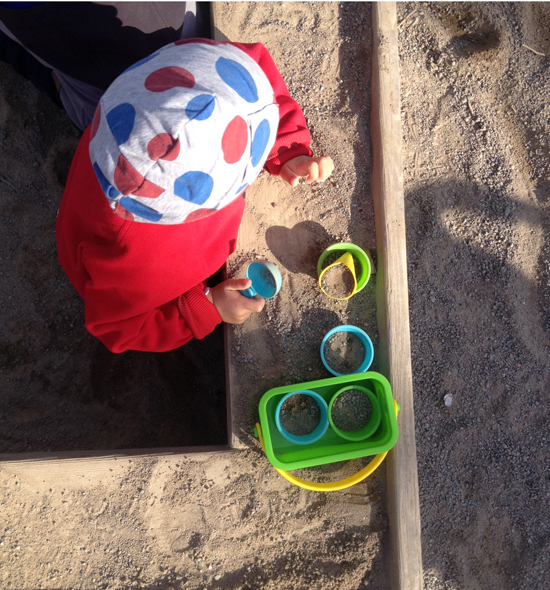 Today Louis played with this ice cream sand toy set with little cones and dishes and an ice cream scoop. It’s super cute and I love that all the pieces fit in the little bucket so it’s easy to bring along. 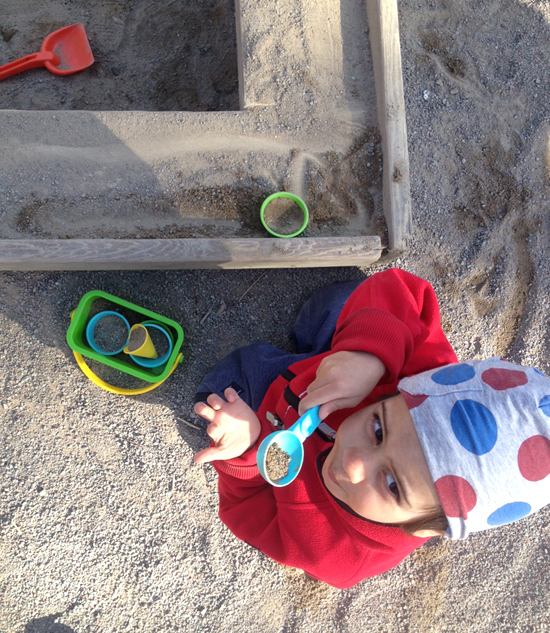 Louis made us raspberry ice cream cones and Léonie and I enjoyed the sun and chatted with a new pre-school mom. And then we went home and made dinner.